for April 18th are Joyful. R. Pray for the world. R. Pray united to the Mass. for Your love for us and our brothers. With my whole heart I desire to consecrate the whole world to the Sacred Heart of Jesus and the Immaculate Heart of Mary. I wish with my whole being for the salvation of souls and that man live according to Thy Holy Will. I pray my Father that we may be one in You and Your Son Jesus and the Holy Spirit that we may intercede to You for this cause. It is this burning desire within my soul to spread the consecration to the far ends of the earth, that the cries of Your children are cries of glory and honor and adoration, praising God as their God. My Father, at this moment a soul hangs on the edge of death. For all eternity they will go to a place. It is not the plot of this soul as it trods this barren land to decide on the edge of death. You created us that we would grow in our oneness with God, that we would mature more and more in our image and likeness to God. And so My Father, I pray with every cell in my body for this earth. In the name of Your Son Jesus I consecrate all the souls of this earth to the Sacred Heart and the Immaculate Heart of Mary in the Holy Spirit in union with the Holy sacrifice of the Mass with all the angels and saints and the souls in Purgatory. I beg You Father for mercy. I beg You Father for assistance. I beg You Father to help us to spread this consecration to the far ends of the earth. Please help us. We are helpless little ones coming in the heart of our Mother, bleeding from our wounds and our sins. Your Son, Jesus Christ, shed the last drop of His Blood for the salvation of mankind. 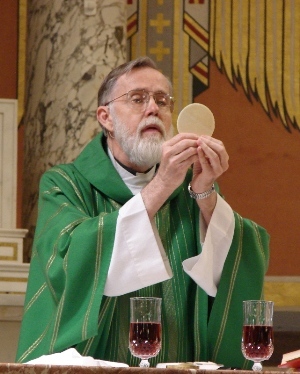 We wish to unite in this sacrifice, sacramentally made present in the Mass all over the world at every moment. Help us to make reparation to You for the sins of men. Please my Father, help us. Held in the heart of Mary and the Heart of Jesus we come as the children of Eve to beg for the Reign of the Sacred Heart and the Triumph of Mary's heart. Look upon our love, Your shepherds in the Shepherds of Christ, our sacrifices and devotion to You Our Beloved Father. Come by the means of the Holy Spirit and sanctify us and make us whole, that we are one in Your Son Jesus, praying to You, Father, in the name of Your Son Jesus in the Holy Spirit united with all the angels and saints, in the heart of Mary. We beg for help for special intentions concerning the Movement. 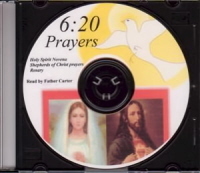 We beg for help to reach the Churches to give these prayers of Jesus to them, to reach the schools and the family. Help we cry as poor banished children of Eve. Help us Father to do this work the Good Shepherd has entrusted to us. Help us to be one in You that we act as intercessors to help this world to be turned to God as their God, loving, honoring and adoring Him as the Lord of Host is truly present on His throne. We are Your children Father, we implore You to answer our prayer. Love is the gift of self to promote the true good of those loved. He states the reception of love is the receiving of the gift of the other, so my good will be promoted. Lord Jesus, Chief Shepherd of the Flock, we pray that in the great love and mercy of Your Sacred Heart You attend to all the needs of Your priest-shepherds throughout the world. We ask that You draw back to Your Heart all those priests who have seriously strayed from Your path, that You rekindle the desire for holiness in the hearts of those priests who have become lukewarm, and that You continue to give Your fervent priests the desire for the highest holiness. United with Your Heart and Mary's Heart, we ask that You take this petition to Your heavenly Father in the unity of the Holy Spirit. Amen. printed of Fr. Joe's homilies. Christ. This is our Priestly Newsletter. and reach so many people. and love of God and neighbor. for the priests in the United States. donations only to do this. pray the Shepherds of Christ Prayers. R. The following is the first official message I received before the statue of Mary at Our Lady of the Holy Spirit Center. It is a personal message for Father Carter. Mary: (in front of the glowing statue of Our Lady of Sorrows) I am the Immaculate Heart. My Heart is glowing for love of all my beloved children. I am your most loving Mother. I am with you this day. 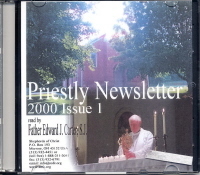 Pray for the success of the priestly newsletter Shepherds of Christ. I am guarding your way. You will receive such graces to accomplish this task! Grace from God is so abundantly bestowed on you and will lead to the success of this endeavor! Pray for this cause at the Center. The priests will lead the people to the love of My beloved Son. This is no little task. It will take many prayers and graces. Pray hard, little one. Your prayers will change many hearts. the priests – what a gift. she gives us these images.